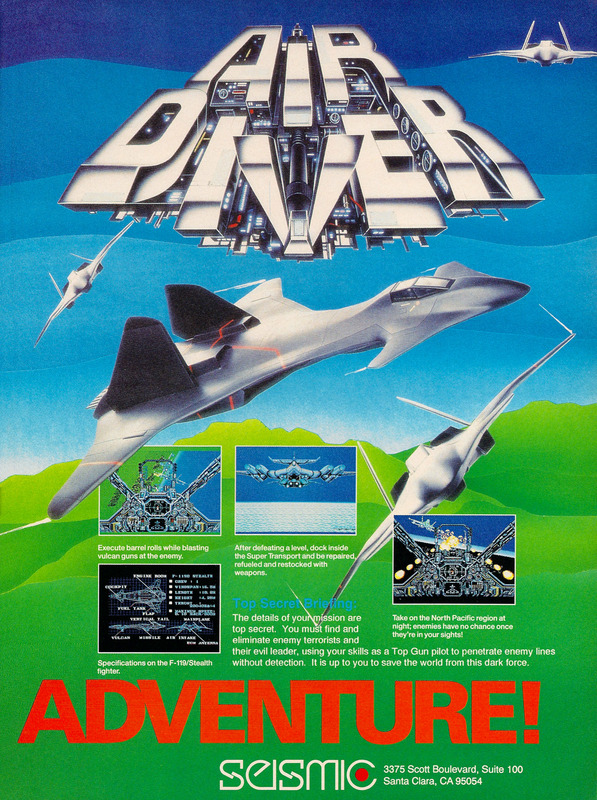 Air Diver is a combat flight simulator released for the Sega Genesis in 1990. It has the distinction of being one of the first third-party games released for that system, at least in North America. However, being first is no guarantee of quality. 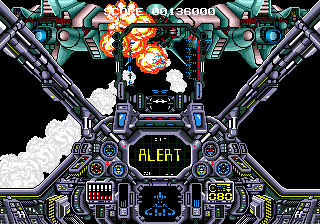 While being labelled as a flight simulator, this is really more of an arcade game like Afterburner only from a first-person point of view. The plot is rather typical and simplistic but it isn’t really important for a game like this. You play the role of a fighter pilot in a fictitious stealth fighter aircraft. 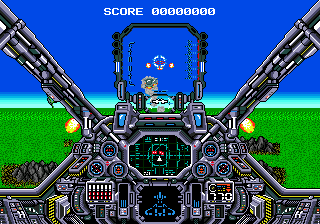 There are a variety of missions which include boss fights. Unfortunately, this is a rather mediocre game. 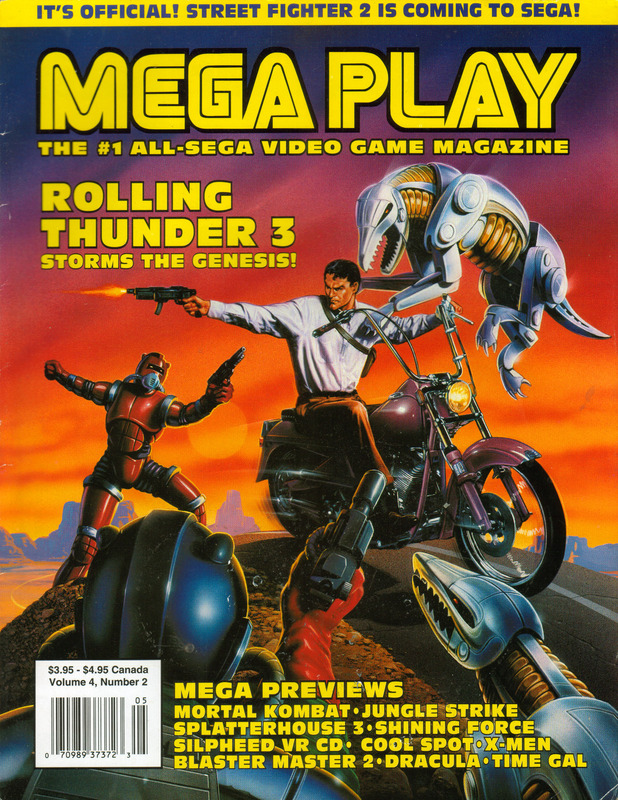 Chances are that it was rushed to market to be one of the first games on the shelves for the Genesis. Graphics are ok and represent an improvement over 8-bit games of the era but they don’t really show the true capabilities of the Genesis. However, it is really the gameplay that is lacking. The missions and gameplay are rather repetitive and there really isn’t a whole lot of replayability. Its only really interest is as an early example of third party development for the Genesis and of course it would have had more appeal in the early days of the Genesis when there wasn’t a lot to choose from. It just doesn’t hold up too well today. If you do want to play this game, then you will have to track down an original or use emulation. 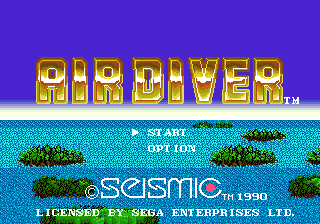 There was eventually a sequel, Super Air Diver for the Super Nintendo, but the original has never been rereleased and probably never will be. The good news is that original copies are pretty cheap.